We're proud to show off the flyer for the 2017 Wm. 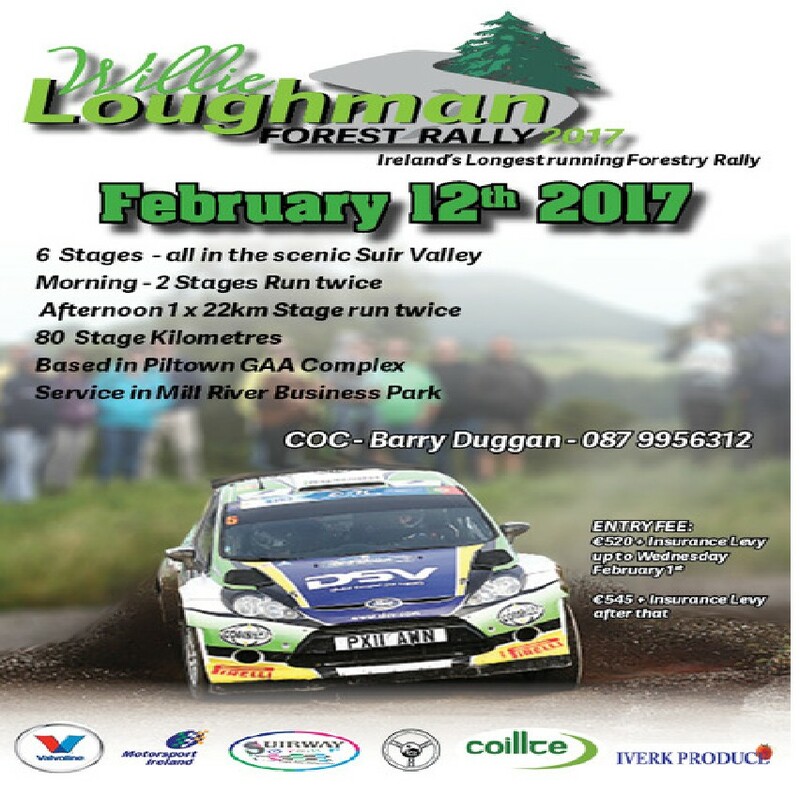 Loughman Forestry Rally. Make sure to keep an eye out for entry forms and regs in the run up to the 2017 event as it returns to familiar stomping ground. 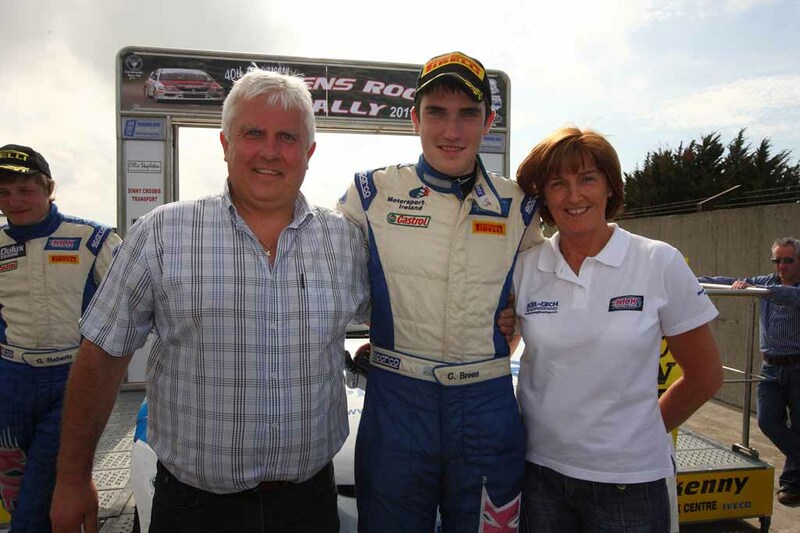 Thank you to all marshals and competitors who came on Sunday to help us raise moneyin aid of CRY. The 2016 Halloween Rally Sprint is back. Make sure to get your entries in ASAP. 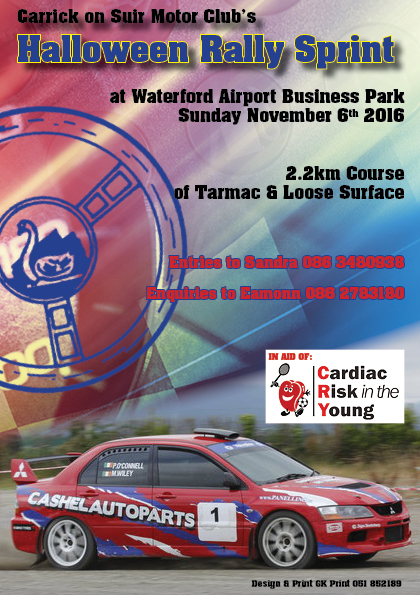 The Cork 20 International Rally is being held on the 1/2 October. 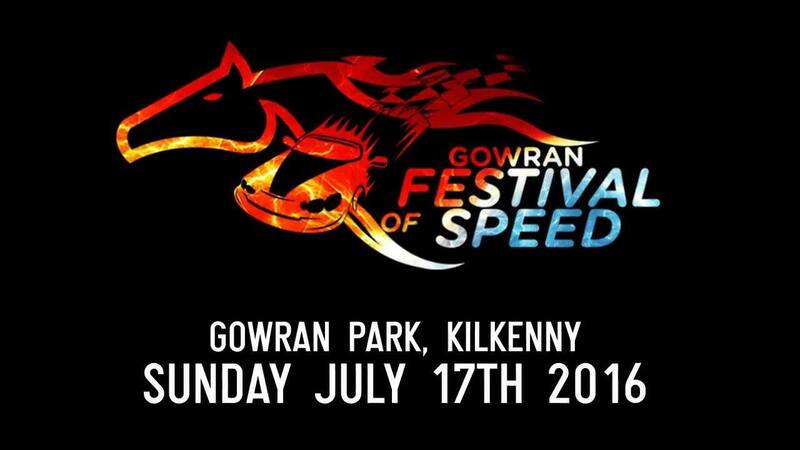 If anyone can help marshal please contact Michael Brady on 0872772366. 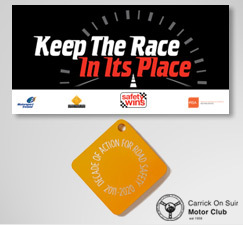 Remember: Marshals are a key part of our sport and without them, none of our events would be possible so please come and help.